Sometimes chocolates most easily available for theme weeks are weighted in an odd direction. Just as last week's Ecuador cacao-themed week somehow ended up featuring mostly very high percentage cacao bars, this week's mint-themed week is conspicuously weighted in the direction of frozen chocolate and mint dessert items. 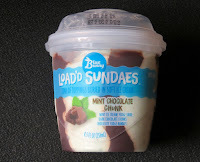 Today's single-serving, Mint Chocolate Chunk sundae was part of a "Load'd Sundaes" line from Blue Bunny (manufactured by Wells Enterprises, Inc. (Le Mars, IA)). "Load'd" with what you might ask? Definitely sugar (61 grams of sugars in 1 sundae). 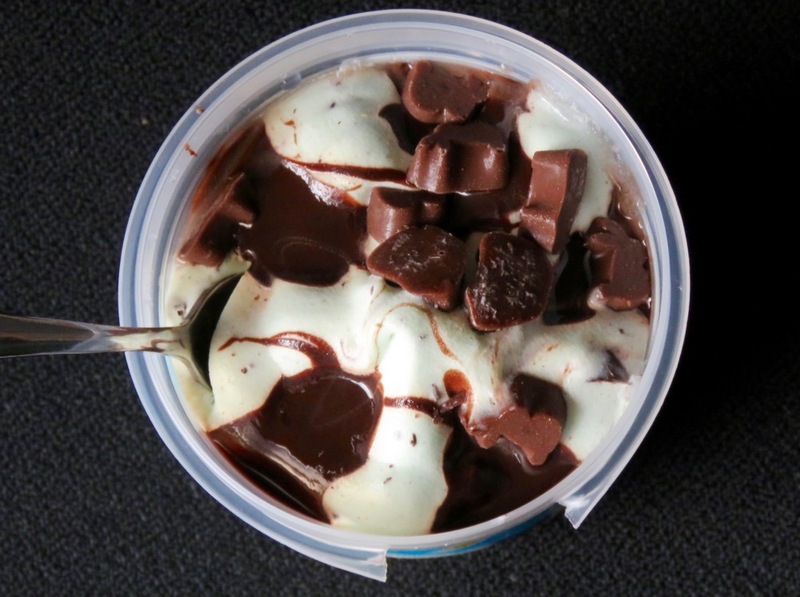 And, lots of toppings in soft mint ice cream, including swirls of fudge sauce, chocolate chunks, and tiny chocolatey fudge bunnies. 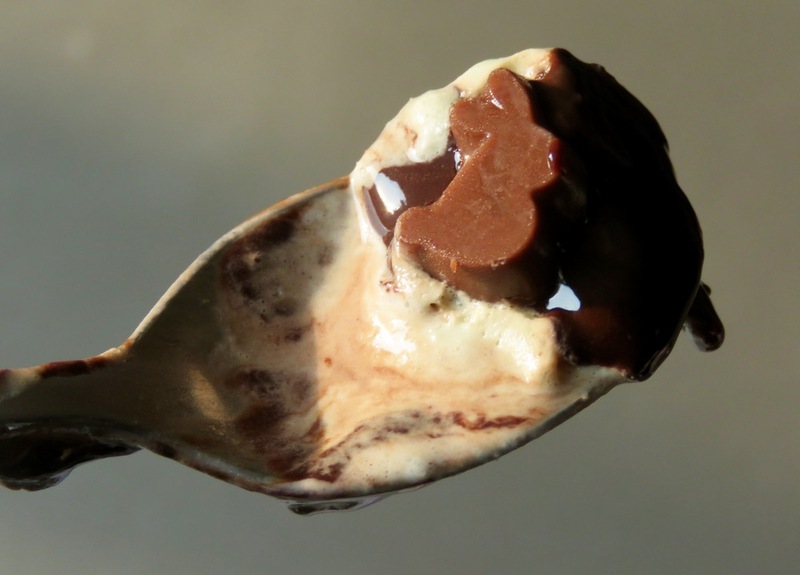 * A few bites may satisfy the curious; and a few chocolate chunks, and chocolate-like bunnies, probably will not irreparably harm your health. *Yes, we're still suckers for small chocolate animals, including certain chocsimiles (chocolate facsimiles of certain animals and items).